Tag Archives for " ManageWP "
6	What Is the Best Way to Manage Multiple WordPress Sites? The update everything feature is killer! Now that more and more businesses are using WordPress, more and more people find the need to manage multiple WordPress sites. Obviously if you’re in the business of managing or working on sites for clients you have this need, but increasingly many businesses choose to create and maintain multiple sites for things beyond their main business presence such as community portals, products launch sites, group blogging projects, books and more. I have five WordPress sites myself and it can be a real challenge to manage all of the core and plugin updates, backups and analytics, before you even get into creating content and driving traffic. ManageWP allows you to manage any WordPress site you have an admin log in for from one dashboard. 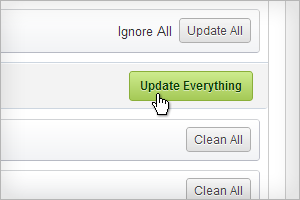 Once you connect all of your sites, it tells you which site needs what update and even allows you to update all with one click or pick and choose. You can schedule routine full backups for all your sites (Dropbox is one storage option) You can monitor uptime, security and traffic spikes. You can use the SEO features to optimize your site. You can use it to migrate to another host or clone a site’s set up so you can create a new one without the set up hassle. You can even publish new content to each of your sites from the dashboard. There is a cost, I pay about $20 a month to manage up to 10 sites, but this time saving tool is, for me, the best way to manage multiple WordPress sites.